If you’re looking to buy the best family dual cab utes in Australia, then you’re going to have to shop around. It might sound easy, but it can be quite difficult. 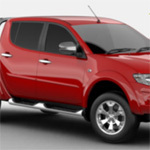 These days shopping for a Ute for both you and the family has never been an easy undertaking, particularly if you are looking at buying in the latest family double cab range. The competition is fierce in this category. Buying a good all round Ute should involve finding one that not only fits the size of your family, but provides indispensable safety features, and comfort for you and the family. In this article, we will review a few family Dual Cab Utes so you can buy a vehicle that gives you the best value for your money. The VW Amarok comes with both on-road and off-road features which allow it to tackle the different kinds of terrains and obstacles you may face in Australia. The 2014 model is at home on-road and or off-road, with exceptional performance, class-leading towing capacity as well as refined occupant comforts. With the features you have come to expect of Volkswagen, you may actually forget that you are riding in a rugged workhorse. The vehicle is well-equipped and impressively strong on both off-road and on-road. 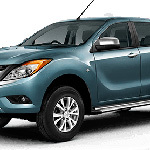 The BT 50 Mazda Dual Cab Ute has a superb combination of sophistication, style, and power. It’s strength has been proven in the toughest tests that Australia could put it through. Ford has proven that it knows how to make family-friendly cars. Since its 97 models, Ford has revamped its models to increased cab; a new 4 WD systems as well as larger room for occupants in the rear. 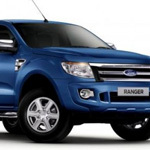 The Ford Ranger has the highest hauling capacity, a gutsy engine, spotless safety and excellent driving characteristics. Toyota vehicles through its innovative ideas and its high-tech manufacturing techniques have won the hearts and mind of it customers. 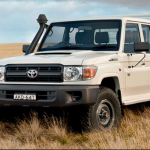 If you want a Dual cab that will stand the test of time, check out the Toyota’s Landcruiser dual cab. Whether it’s going on a safari or around town, this vehicle cannot disappoint. Now Mitsubishi Triton has joined the race and is showing no signs of backing off. There are more sophisticated ute segments in the market, but not many can meet your household need as well as the Mitsubishi Triton can. While its economy is a bit disappointing, its towing firmness is very much its muscles. The Holden Brand is part of the General Motors Group and is one of the most respected auto car makers in the world. The Holden Colorado has won the hearts of many car enthusiasts as it has good fuel economy and can accommodate many people. 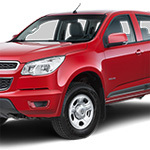 Holden Colorado are also known for their towing capacity and incredible staying power. 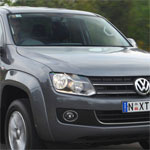 Available in single cab, extended cab, and dual cab in either 4×4 or 4×2 configurations. Isuzu is a well-known for producing trucks, so the lite truck range will be popular and widely used the world over. 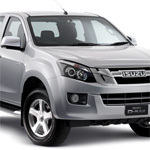 Isuzu is one of the largest manufacturers of Utes in the world. Isuzu D-Max range of Utes is reliable and tough. 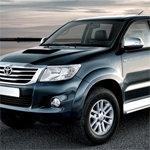 The new 2014 Toyota Hilux is a car enthusiasts dream thanks to its improved features. The 2014 model has been designed to make it not only durable, but highly versatile as well. Toyota has carefully considered every detail right from body choice, engines and accessories to make sure that it is Australia’s toughest work or family car. A 4WD is not an indispensable element of an excellent towing vehicle, with most 2WD dual cabs boasting similar braked towing ability as their siblings. Some people find the 2WD dual-cabs ute lighter, more economical and pleasant to ride than a 4WD edition while other find it shallow. The 2WD is a lot cheaper to buy, with the premium almost $10K with some double cabs. However, a car preference is a matter of personal choice. What you may find impressive might not impress your friend.